TOKYO -- Subaru's booming North America business fueled a quadruple leap in parent company operating profit, and the carmaker expects even sunnier results from its U.S. cash cow. Sales in North America -- by far the brand's biggest market -- jumped 30 percent to 116,000 units in the April-June fiscal first quarter, Subaru parent Fuji Heavy Industries Ltd. said today. The brisk sales fed a fourfold surge in operating profit to 69.64 billion yen ($739.6 million), from 17.33 billion yen ($184.05 million) a year earlier. The quarterly operating profit was an all-time record for Fuji Heavy. Global revenue climbed 28 percent to 546.9 billion yen ($5.81 billion) in the April-June quarter, an all-time quarterly record for Fuji Heavy. Overseas unit sales also hit a quarterly high, advancing 11 percent to 150,000 vehicles. Worldwide, sales climbed 15 percent to 191,000 vehicles. The company expects North American sales to expand 8 percent to 420,000 vehicles in the current fiscal year ending March 31, 2014. The region would account for more than half of Subaru's global sales, which are seen growing 4 percent to 752,000 units. Fuji Heavy has redoubled its focus on North America since last year, when the Chinese government rebuffed its request to begin local production in China, the world's largest auto market. Subaru is one of the few global players not building cars there. President Yasuyuki Yoshinaga had hoped to make China a third manufacturing base after Japan and the United States. U.S. sales, which account for nearly all of the North American total, got a lift from sunbelt states, Executive Vice President Mitsuru Takahashi said at the July 31 earnings announcement. Snowbelt regions have long been a stronghold of Subaru, with its specialty in all-wheel drive vehicles. But the brand sees big potential for growth in Southern states as well, he said. Subaru's market share in sunbelt states has risen to 1 percent from around 0.5 percent, he said, without specifying the time frame. Today, sales in the South account for just under 20 percent of Subaru's U.S. total, up from 14 percent, he added. "That's a big factor in our expanding sales," he said. 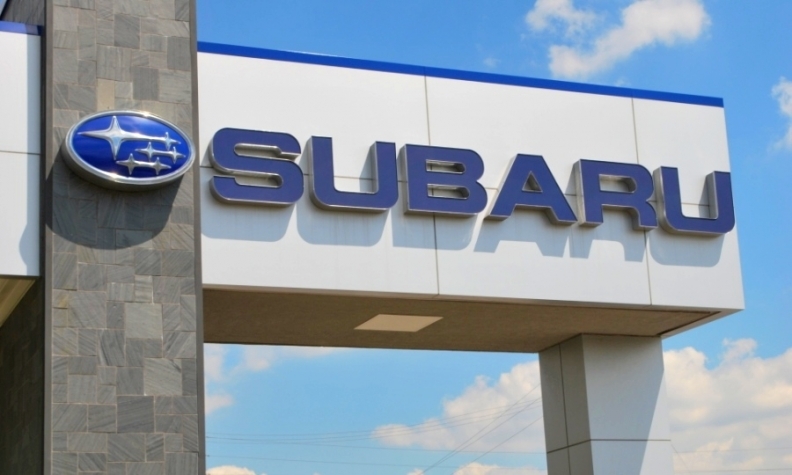 Meanwhile, Subaru has dialed down cash incentives and turned to interest rate deals, to help shore up transaction prices and brand value in the United States, Takahashi said. But if interest rates rise, he said, Subaru may look to competitors and adjust its approach. He did not offer further details.